This kit is pretty simple, but you should follow these steps fully so that you'll have no problems! Either a hand-drill, cordless, bench, or whatever you've got! A 13/64" drill bit is perfect but a little larger is better than a little smaller. Hot Glue Gun. Or white glue, or even tape. You'll need this to attach the paper to the glasses, fix the LEDs in place, etc. Check to make sure your kit comes with the following parts.Sometimes we make mistakes so double check everything and email [email protected] if you need replacements! Heat shrink tubing 1/16" diameter 4"
Place the PCB in a vise (if you have one), and turn on the soldering iron. Make sure you have all the tools you'll need to assemble the kit. If you don't know how to solder, we suggest checking out the videos in the link above. They're quite good! Keep them in a window so you can watch and review as you work through the kit. The first part we will place is the resistor R4 - this is a small oval tan thing with two wires (leads) and color stripes. The stripes are yellow violet black which indicates a 47 ohm resistor. This resistor is used to set the brightness of the lightbulbs (LED) for the right eye. 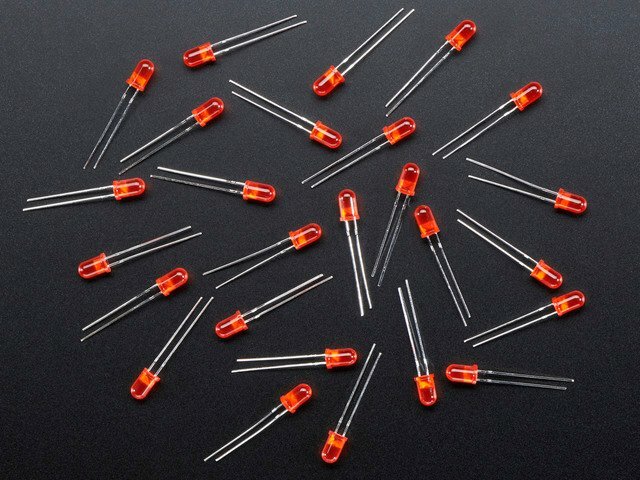 A smaller resistor (less resistance) would make the LED brighter. A larger resistor would make the LED dimmer. The resistor goes right in the middle, over the silkscreen text on the PCB that says R4. Solder joints should be smooth and shiny and fill the entire pad, wicking up to the lead. you shouldnt be able to wiggle the wire and have it move in the hole. Once you are happy with the first solder joint, solder the other resistor wire. You can zoom in by clicking on the photos for a bigger look. There are another 3 resistors and we'll finish them all up. Place resistor R3 (another 47 ohm yellow-violet-black) resistor right next to R4. This is the resistor that sets the brightness for the other eye's LED. Then place both R1 and R2 they are both 2.2K resistors (red-red-red). These resistors set the loudness of the earphones for either ear. Using a larger resistor (more resistance) would make the volume quieter. Using a smaller resisor would make the volume louder. Remember it doesn't matter which way you place each resistor since they are non-polarized. Place them flat against the PCB and bend out the legs. Solder all the pins of the resistors to the circuit board. We'll clip the leads again, so that they don't short or interfere with anything else. Next is the tactile button that is used to tell the microchip in the kit to turn on and off. The button is also nonpolar (it's just a mechanical switch) so you cant put it in 'backwards' It should snap into place right next to the ON/OFF silkscreen label on the PCB. If it doesn't fit, turn it 90 degrees. It should snap into place and sit flat against the circuit board. Solder in all four legs of the button. Use plenty of solder because the button needs to be strongly attached to the PCB or it won't work. You don't need to clip the leads of the button as they are already short. Now we will place the chip socket. A socket is a protector. In case you want to replace the chip or it gets damaged, or something, it's important to have it in a socket. That way you don't have to permanently solder in the chip. The socket has a little U in one end. The U should match the U in the silkscreen image printed on the PCB. In this photo the U is on the right. If you mess this up, don't try to desolder the socket, instead just keep going and remember that it is upside down later when it's time to install the chip - the U is just to help you place the chip properly. The socket doesn't have long leads to bend, and it doesn't snap into place nicely. You can tape it to the PCB or if you have sharp fingernails you can sort of bend two corners in and it'll keep in place while you solder. You might want to start by soldering two corner pins. This keeps the socket on straight while you do the rest. Solder all 8 of the pins of the socket. Now we will do the big headphone jack. This is the mechanical connection from the chip in the brain machine kit to a pair of standard 3.5mm headphones. The jack will only fit one way. It may snap in or you may want to use a piece of tape to keep it in place. You can also hold one finger against the jack while you solder a single pin. Once one pin is soldered right you can continue. The headphone pins are a bit long, if you can, clip them down a bit (but cover the pins as you clip, 'cause you don't want them flying into your eye). Next are the two electrolytic capacitors C1 and C2. These help smooth the output of the microcontroller audio generation to make it less squeaky. Once you've placed the capacitors in the right way, check them against the photo on the left, you really want to make sure that the capacitors are in right or they won't work well! Solder in the capacitors and clip the long wires. Now we can place the microcontroller chip. This chip holds the brain machine program and is 'burned in' here at the Adafruit factory. You may need to squeeze the pins together a little so that they slide into the socket. When the chip is placed right, it will seat nice and snug into the socket. Now you can do a test! This test will check that what you've done so far worked out well. Make sure you don't have batteries in the battery holder. Take the battery holder red and black wires and thread them through the holes near the chip that say Battery next to them. make sure the red goes in the hole nearer to the chip with a + (plus/positive) on it and the black wire goes through the hole nearer the chip with a - (minus/negative) Now bend the wires around so that the silver ends go through the solder pads right next to the holes. Don't solder these in! Just have them press-fit there. Click on the photo to the left if you need to see a bigger version of the photo. Plug the headphones all the way into the jack. Put the headphones on. Put the two AAA batteries into the holder in the right way. Now press the ON/OFF button - you should hear tones in both ears. Now that you've done the test, remove the headphones. Take out the batteries and put the battery holder away. Now we will prepare the glasses for the project. We like these dark-tinted safety glasses. You can use nearly any plastic glasses. Now we'll drill out the holes for the LEDs to fit in. We used 13/64" drill (0.20 inches / 5.2mm) with great success. You can also try a 3/16" drill bit (5mm) but it may be a little small. We'll need to wire up the LEDs and batteries to the PCB using wires. While you can use any wires, we like the rainbow ribbon cables. Each wire is a different color and the wires are 24 AWG stranded. If you don't use the ribbon cables try to get thin wires from somewhere else. One nice thing about the ribbon cable is that if you clip the wires at the end, you can 'tear' off strips. Use the clip and tear technique to pull off three strips of two wires each. One is red/brown, another orange/yellow and the last pair green/blue. Next we will split and strip the wires, twist them and finally tin them! First, use the nippers to notch the orange/yellow pair and tear them apart about 1" (2cm). Strip the wires about 1/2" (1cm) away from the end, using any kind of wire strippers. If you mess up and cut the middle wires, just cut the wires short, tear them apart and try again. You have a lot of wire so there's plenty to practice with. Once you have the wires stripped, twist them with your fingertips to keep the wire strands together. Now we will tin the ends of the wire. Wire needs to be tinned to make good contact. Tinning basically means melting a little solder onto the wires before we attach it to something else. It keeps the strands from flying around and also makes for better solder connection. We'll use a 3rd-hand tool to hold the wires steady. Melt a little solder onto the iron tip. Use the soldering iron side to sweep the wire strands while also melting some more solder on. You will see the solder wick into the strands and strengthen the wire. Now we will wire up the LEDs that blink in front of the eyes. LEDs are Light Emitting Diodes - the light emitting part is pretty easy to understand. The Diode part is a little more difficult, but basically a diode is a component that only works 'one way'. Like the capacitors, we have to keep track of which pin is which or the LED won't turn on and light when we want it to. The good news is that if you power an LED backwards, nothing bad will happen to destroy it (it just won't light up). For LEDs, the longer lead is positive. Cut tbe shorter wire of the LED (negative lead) so that only about 1/4" (half a cm) is left. Then tin it just like you did with the wires, so there is some solder on the wire lead. Because there is already solder on the LED and wire, you should be able to hold the yellow wire to the short lead and heat it up with the iron and they'll melt together and hold. Clip the remaining LED wire and solder the orange wire to it. When both leads of the LED are soldered you can go back and melt more solder over them if they're not solidly connected (but be sure to hold the wire in place as you solder, or it will fall off). Now we'll do the other eye's LED. Cut, strip and tin the green/blue wire pair just like the orange/yellow. Solder the blue wire to the positive (longer) LED pin and the green wire to the negative (shorter) LED pins. Finally, bend both LEDs (gently and only once) so they are at right angles to the wire. It doesn't matter which way they are bent. The easiest way to do this is to hold the LED in one hand and use a finger to bend the wires. Now we'll attach the LEDs to the glasses! Place the orange/yellow LED in the left eye and the green/blue LED in the right eye drill hole. Be sure to push the LEDs into the glasses from the front (so they will shine in to your eyes). Use tape on the opposite side to keep the LEDs in place. Use hot-glue, white glue, epoxy, silicone adhesive, rubber cement, or your adhesive of choice, to glue the LEDs into place from the inside. We think hot-glue or epoxy will work best. Superglue may not work, be careful not to glue everything! If necessary glue on the back (outside) as well - especially if the hole is large enough that the shoulder of the LED goes through. Now it's time to extend the battery pack! We're going to stick the batteries on the right-side arm of the glasses to balance out the PCB on the left. Problem is, the wires aren't long enough to reach all the way. So we're going to make wire extenders! First thing, cut two pieces of heatshrink, at least 1/2" (1 cm) long and slip them onto the battery pack wires - we'll use them later. Take the third wire-pair (red/brown) and strip/tin it on both sides just like you did before. Solder the red wire to the red wire of the battery pack. Next solder the black wire to the brown wire. Make sure the heat shrink is on the battery pack wires but out of the way so you don't accidentally heat them up before it's time. Once the wires are soldered, slip the heatshrink so that it covers the soldered joints. Then heat the heatshrink with something hot. You can use a heat-gun, hairdryer, soldering iron (rub gently), or even a lighter as long as you don't catch the whole thing on fire (stay a few inches away). The heatshrink protects the wires and keeps them from shorting to each other. It also makes the solder joint stronger. Squeeze a big blob of hot glue on to the left arm of the glasses and stick the battery pack on, making sure that the wires from the battery pack are facing the front of the glasses. IMPORTANT: Fold the arms of the glasses before gluing in the following steps. Use tape to attach the red/brown, orange/yellow and blue/green wires to the top edge of the glasses so they run together. As in the photo, make sure that the arms of the glasses are folded, and use your adhesive of choice to glue the wires to the top of the glasses. The tape will keep the wires in place while the glue hardens. Turn over the glasses, we'll be gluing the PCB to the right arm -- but not yet! First we will solder the wire harness to the PCB. Cut, trim, split, strip and tin the wires. Then slide the Red wire through the hole marked + (positive, plus) and the Brown wire through the hole marked - (negative, minus). Then bend the wires into the silver pads. Solder the Red wire to + and the Brown wire to -. You can do a quick test now by putting AAA's into the holder and the headphone into the headphone jack. You should be able to hear the tones when you press the ON/OFF button. Cut the Orange/Yellow and Green/Blue wires so that there is plenty of slack for them to reach the LED solder holes on the right edge of the PCB. Be sure to have enough wire so that you can fold the arms of the glasses. Cut, trim, split, strip and tin the four wires. Use the same over-under technique to place the wires. This time, don't solder them in yet! We'll do a test to make sure we have the right polarity. Insert AAA batteries and press the buton, you should see both LEDs blink red. If one does not blink, try flipping the wires between the + and - pins in case it's in backwards. If so, just solder in the wires so that they work, don't try to desolder the LED. After you've tested the board, remove the AAA batteries and solder in the four wires. Cut the excess leads from the four wires. Now we'll attach the PCB. Spread some hotglue, epoxy, silicone adhesive, etc, on to the right arm. OK you're done with building the Brain Machine kit...now you can decorate it! We included a trippy color graphics overlay for you to use. We have other designs you may like on the download page, or experiment with whatever you have around the house! If you print out this convenient glasses template it will make it easy to cut out the overlays to glue on to the front of your glasses. And, if you used this template to drill the holes in the glasses, the template will also show where to cut holes (for the LEDs) in the overlay. Now you are ready to rock out, read the user manual for tips on how to best-enjoy your kit! Don't Forget: The Brain Machine works with blinking lights. Be aware that blinking lights are not good for some people, especially those prone to seizures! What does the Brain Machine do? Using the Brain Machine kit is easy! 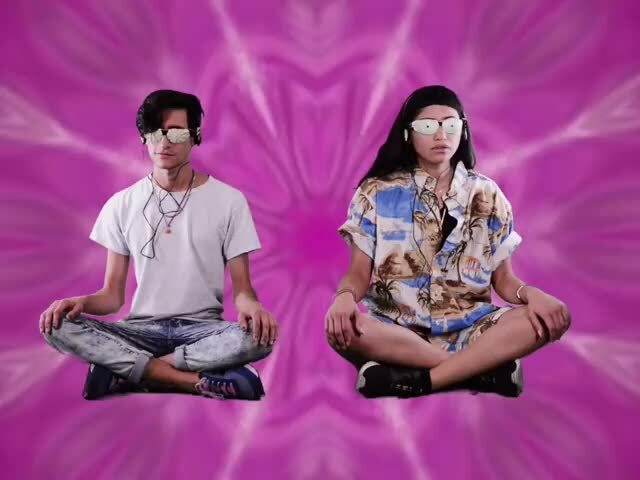 Meditate, Hallucinate, and Trip Out and enjoy, with your eyes gently closed the entire time, for as long as you like. The Brain Machine will automatically turn itself off when the trip sequence is complete. If you want to stop the sequence early, just press the ON/OFF button again (or just remove the headphones and glasses). If at any time you want to make the experience less intense, simply slide the glasses down your nose until you feel comfortable. Use every-day masking tape to cover the red LEDs to make them less bright. Just keep putting tape over the LEDs until they are not too bright. 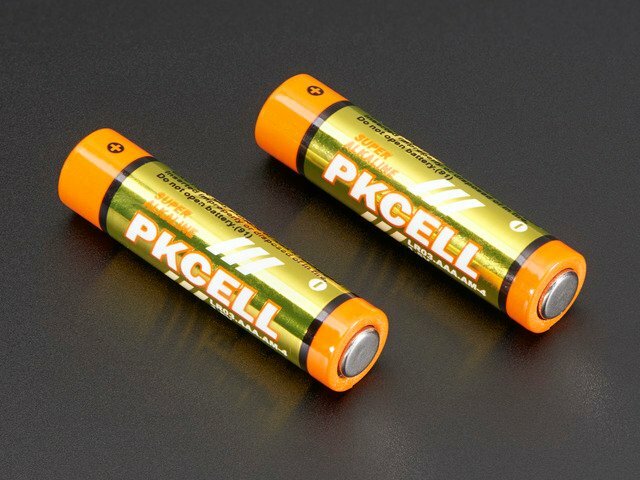 The Brain Machine Kit comes with 2 AAA standard alkaline batteries. These should last for hundreds of trip sequences. If you ever need to replace the batteries just use any AAA's from the store. The brain machine works fine with low cost 'economy' batteries so you don't need to spend a lot for the expensive batteries. You can get the latest schematics, board layouts and firmware from the github repository. Snazzy up your brain machine with the original graphix overlay or many other 60's style designs you can print and use.